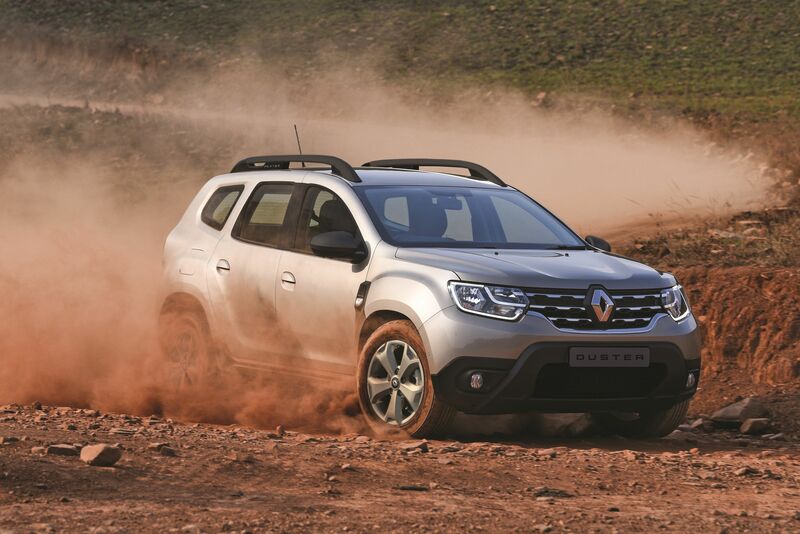 A global success story, New Renault Duster is the first Renault model designed and engineered to meet stringent European standards and yet capable of conquering markets where usages and road conditions are much tougher. Indeed, its ground clearance, wide wheel arches, imposing chrome-plated grille and muscular lines assert the newcomer’s identity of a genuine Sports Utility Vehicle, very capable of serious off-road driving. 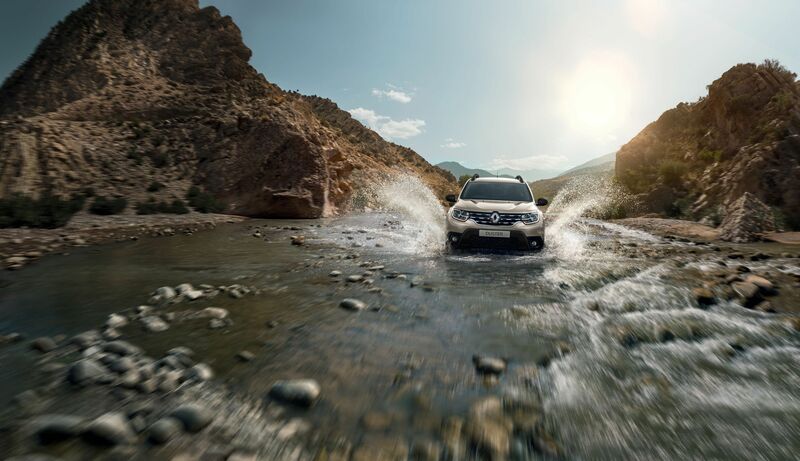 As a genuine SUV, the New Renault Duster has been engineered to handle the most challenging road conditions with comfort and safety. Its high ground clearance (205 mm in 4x2, 210 mm in 4x4), its high-profile tyres and reinforced suspensions ensure high-level loose-surface ability. 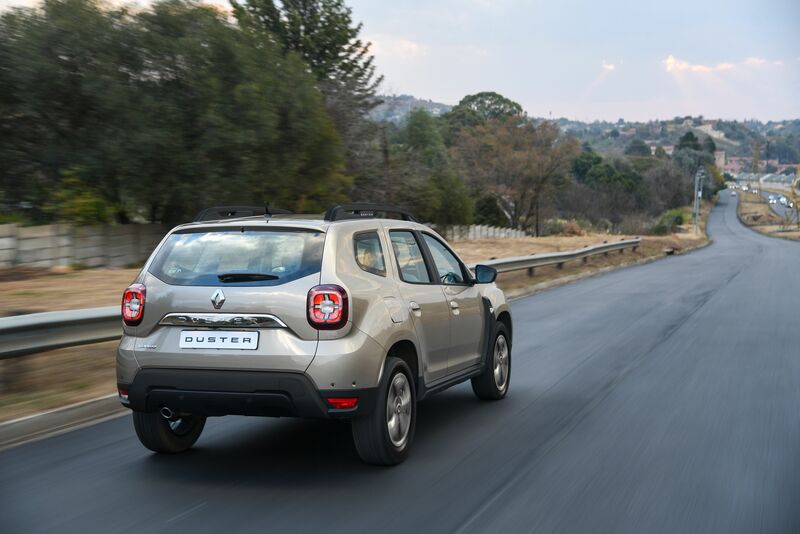 The Duster is thus a perfect fit for South African roads as it is equally at home on highways, in suburbs as it is off the beaten track. Available in petrol or diesel guise, the 1.6 16 valve petrol, praised for its best-in-class reliability, is already employed in the Mégane and Scénic, the 1.6 petrol has received high praise for its ultimate reliability, good level of performance and very low noise levels. With a maximum power output of 75kW at 5 850 r/min and 145 Nm of torque at 3 750 r/min while maintaining still reasonable fuel consumption (7.5 litres/100km in the combined cycle). 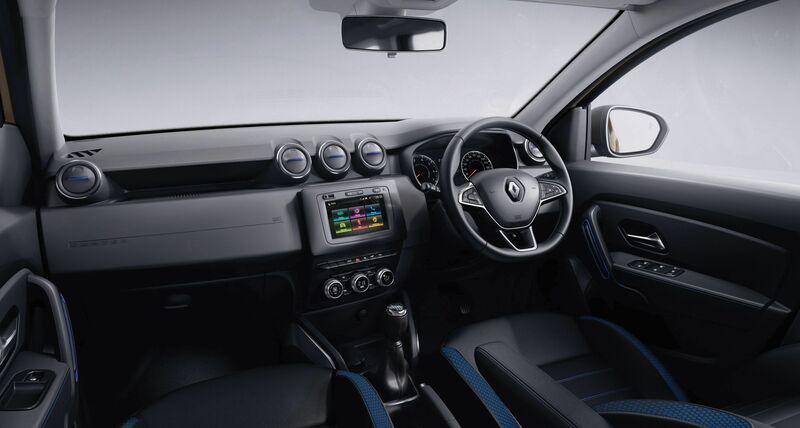 The 1.5 dCi turbo diesel engine makes its debut in Renault’s local line-up with the New Renault Duster. This new generation powerplant combines capacity reduction (downsizing) with a very high level of performance, producing 80kW with peak torque rating of 240 Nm attained at 1 750 r/min on the 4x4 and 2 250 r/min on the 4x2. Inside, comfort and convenience are at their best with standard manual air conditioning, front & rear power windows, remote central locking, electrically adjustable side mirrors, height adjustable steering wheel & driver seat, CD/MP 3/Radio 4x15W with satellite controls, Jack and USB ports, Bluetooth® connectivity, onboard computer and rear parking sensors.